Taskeen Zahra chats with the filmmaker about the revival of Pakistani cinema, finding his passion late in life and tacky music videos. My passion lies in making documentaries as well as short works of fiction. I have always been fascinated by the film world and the art behind it, and I never realised that an education would be necessary for this particular field. Initially, I was a photography major in college, but I used to make really tacky music videos for the amusement of my classmates. However, I loved the film-making process so much, that I have been pursuing it ever since. Guddu is the story of Zahid Khan and his obsession with the Pakistani film industry. An ordinary man of meager disposition, he leads a quiet life collecting Lollywood memorabilia in all forms. His tinned loft in the frantic metropolis of Karachi houses a treasure trove of visuals that most Pakistani’s barely recognize. But his life isn’t as romantic as it sounds: Guddu has had to put up with abusive family members, being on his own at a very impressionable age and trying to make ends meet without having any tradable skills. 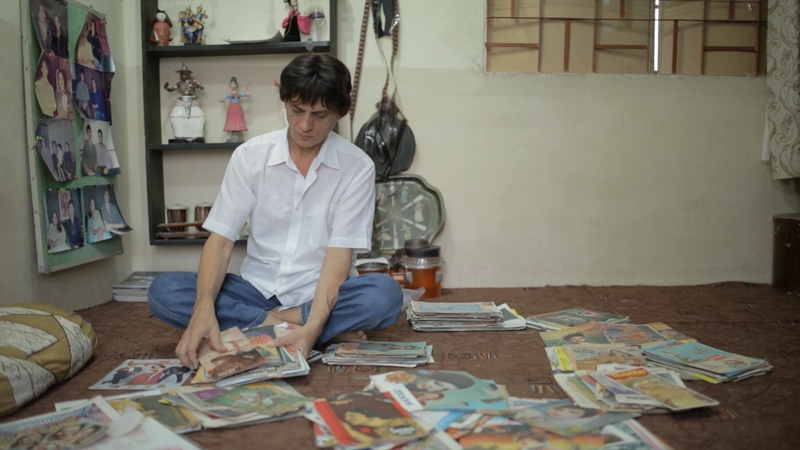 This documentary follows Guddu on his journey as he tries to archive his massive collection despite personal trials and tribulations, and eke out a meaningful life as the last guardian of a glamorous era. I grew up in a middle class conservative environment. Like a lot of us, I was brought up with the notion that cinema is a bad place, where decent folks don’t go, and yet every other relative was watching gyrating Indian movies and shows on their cable and VCRs. The fallacy in our choice of entertainment remained in my mind for the longest time: why aren’t our movies as good as the content we see on TV? When I joined film school and read an article written by my friend about Guddu, I quickly realised that there was a lot more to his story. I realised that by following Guddu, I was unravelling the very questions that have been plaguing me since childhood. At what point did you realize that a career in film making was for you? Very late in my life. My daughter had just turned a year old and I had already settled into the daily grind at work. It wasn’t until my uncle, who was in perfect health, died right beside us while we were watching a film together, that it hit me: if I wanted to make films, it was now or never. I think it’s pretty much what you’d expect. I made a lot of stupid films with my friends when I was a kid, and I didn’t have the courage to follow my passion seriously until my daughter was born. I was really lucky to have discovered a film school in Karachi, where I was mentored by great instructors. Since then, I have worked on commercial projects and focused on being a good storyteller. I met Guddu Bhai through a mutual acquaintance from my school, and his story was so compelling that I was invited by the British Council to pitch my film to international filmmakers at the Edinburgh International Film Festival. 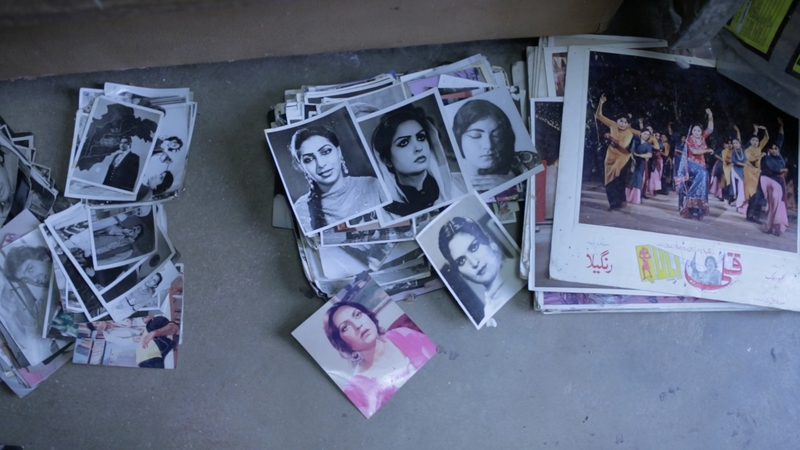 Noe Mendelle and Flore Cosquer have been instrumental in bringing Guddu to the forefront and the Scottish Documentary Institute is now producing this film. I have been really lucky to have worked with great people and collaborated with real artists. How would you describe your sense of filmmaking and direction? I still think I’m trying to understand my place as a storyteller. If I analyze the work I’ve done so far, the overarching theme has always been exploring different point of views. Who are your three biggest inspirations in the world of filmmaking? This is an unfair question! This usually changes several times a week, but I draw a lot of inspiration from Steven Spielberg, Kevin Smith, Robert Rodriguez and Mira Nair. Who’s your favourite Pakistani film-maker and why? I would say that currently it’s a tie between Sarmad Khoosat and Jami. I love the way that Sarmad gets his performances from his actors and Jami Boss for the insanely cinematic visuals he dreams up! What’s your go-to place for inspiration? I don’t have one special place I go to. I like talking to people and listening to their experiences. You never know, they might be the one to inspire my next project. What’s been the most memorable experience while shooting the documentary? Going to Lahore and living near the old studios while marveling at the decay. It saddened me to a great degree when I saw actors and actresses that were adored by millions now reduced to husks of their former selves. What is it like being in the creative arts in Pakistan? Making a living in the arts is never easy; in fact it’s downright impossible sometimes. A degree does not assure you that you will have a job; those days are over. In a country like Pakistan, where there are fewer venues for creative expression and a paying audience, it’s important that you believe in your own vision and surround yourself with the right group. Name one person you’d love to make a documentary about and why? I don’t think it works quite like that, I don’t necessarily want to make biographical documentaries my whole life. I love documenting individuals whose life experiences have a consequence on others. Any advice to a younger you? Don’t wait for things to happen to you; make it happen for you. Who is your biggest support system? My parents, sisters and my wife. I think I probably am the most pampered individual because of them. I’m still collaborating with the Scottish Documentary Institute to expand Guddu into a feature length documentary. A feature with an international release is a long and arduous process but I’m hopeful it will come to fruition. I’m currently working on a number of commercial. projects as well.